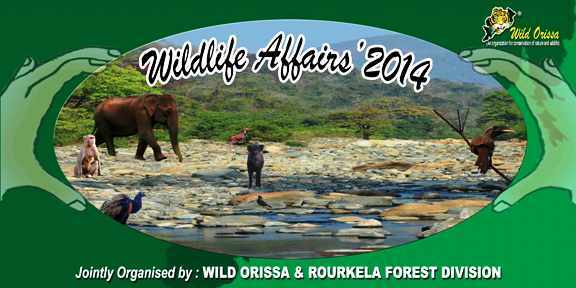 WILDLIFE AFFAIRS 2014 the flagship program of Wild Orissa since 1997 was celebrated on the 22nd October 2014 at Rourkela. 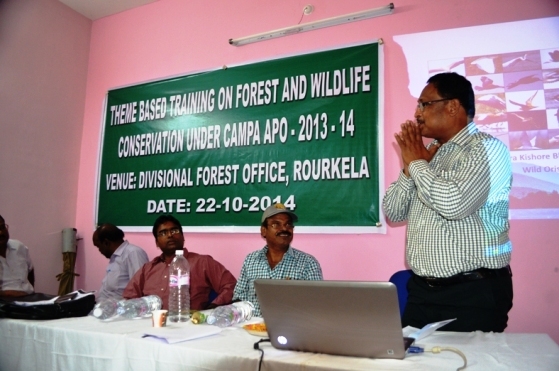 The event was jointly organized in association with the Rourkela Forest Division. 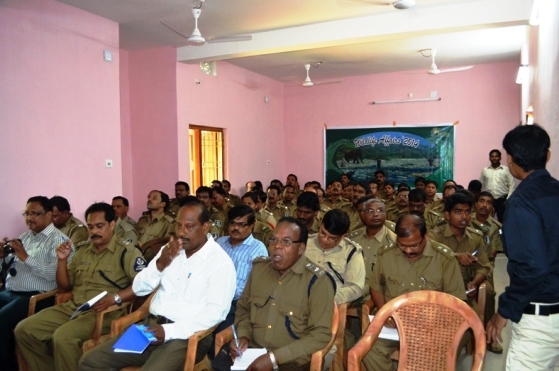 Divisional Forest Officer, Assistant Conservator of Forests, Range Forest Officers, Foresters, Forest Guards, Forest Watchers, wildlife enthusiasts and Honorary Wildlife Warden designate participated in the event. From Wild Orissa Shri Akash Ranjan Rath and Shri Bira Kishore Bhujabal were present. During the event presentation on 'Threats & Protection Of Odisha's Biodiversity' was made by Shri Akash Ranjan Rath with a special focus on man-animal conflicts. A presentation on 'Avi-faunal Diversity of Odisha' was given by Shri Bira Kishore Bhujabal with a special focus on bird identification and inter-species differentiations. Wild Orissa acknowledges the logistical support provided by Shri Sidhartha Shankar Jena in Rourkela and towards Shri Dilip Kumar Nayak for designing the WILDLIFE AFFAIRS 2014 banner.